A major conference to mark the 100-year anniversary of the influential Bauhaus school gets underway in Dublin today (07.02.19). ‘Bauhaus Effects’ leads the Irish strand of the world-wide celebrations to mark the Bauhaus centenary, and reflects on the legacy of the innovative artistic, architectural, design and teaching practices developed there. Developed in collaboration between the National College of Art and Design (NCAD), University College Dublin (UCD), University College Cork (UCC) and the Goethe-Institut in Dublin, with support from Dublin City Council and the German Embassy, the conference will run at the National Gallery of Ireland until Saturday, 9th February. Speaking ahead of the conference, Director of NCAD, Dr Sarah Glennie said: “The Bauhaus is recognised as the twentieth-century’s most influential school of art and design and is considered an incredible radical moment, when the idea of the art school was completely reimagined, and the role of the artist and the designer in society was also rethought. Designed as an interdisciplinary conference, a panel of expert speakers from around the world will examine the effects of the Bauhaus on individual disciplines, and investigate its continuing impact on contemporary practices: from concepts of space and colour, to the design of toys in the 1920s, and typography. Professor of Art History at UCD, Dr Kathleen James-Chakraborty said: “The Bauhaus introduced a whole new way of conceptualizing art education around the fact that not all art would be representational. This way of thinking still influences the design of many objects in our daily lives today. The conference will explore the school’s international impact as well as its relationship to developments in fields as diverse as aviation, photography, hairdressing and shop window design. 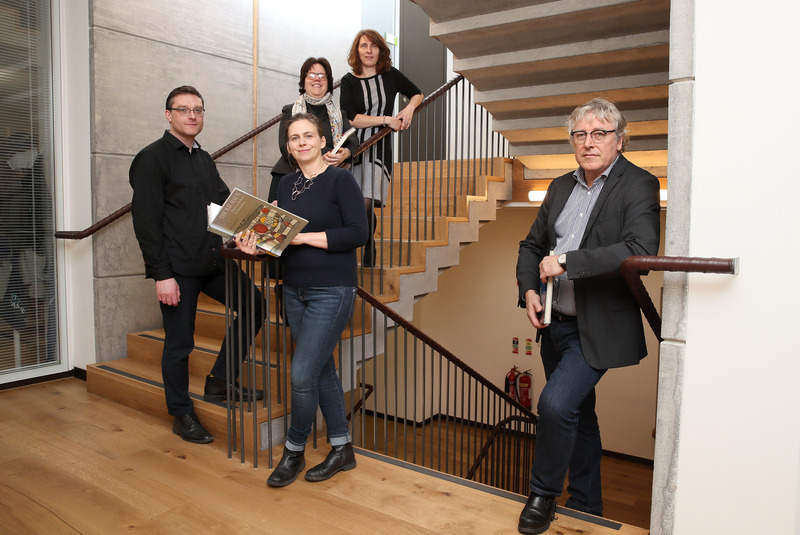 Commenting on the influence of the Bauhaus in Ireland, lecturer in History of Art at UCC, Dr Sabine Kriebel said: “The strongest effects of the Bauhaus in Ireland can be seen in architecture and craft design. For example, the Kilkenny Design Workshops, developed in the 1960s with input from Scandinavia, were very much influenced by the Bauhaus model. The conference will feature a number of keynote speakers, including: Professor Heike Hanada, Chair in Theory of Building Typology at the Technical University of Dortmund, and designer of the New Bauhaus Museum in Weimar, which is scheduled to open in April 2019. Professor Hanada will open the conference this evening by outlining how the construction of the new museum posed questions that challenged a radical and clear approach. The conference will be closed by Professor Irit Rogoff, writer, teacher, academic, curator, and one of the initiators and co-founders of the School of Visual Cultures at Goldsmiths College, London. Panel discussions will cover topics such as ‘Bauhaus Effects in everyday life’, ‘Paradigm Shift’, ‘Bauhaus Aftershocks’ and ‘Bauhaus Effects through pedagogy’. For further information about the ‘Bauhaus Effects’ conference, and the full conference programme, visit: www.bauhauseffects.com. Contact: David O’Donnell / Sebastian Enke, DHR Communications, Tel: 01-4200580 / 086-1081139 / 087-3239496. Interviews with representatives from the conference partners are available on request. Images from the conference launch are available to download here.